Running your business has always been your number one priority; no matter what crops up during your day, there is always time to tend to business matters when you need to. What many entrepreneurs don’t realize is that your business could be put out of action at any time without any warning. Overcoming the financial hurdles are a lot trickier than you would think, not to mention the emotional impact it can have. There are several unfortunate events that could make your business suffer, so as long as you know what to do, you will always come out stronger on the other side. Without a moment’s notice you could be struck down with an illness or injury that prevents you from carrying out your day to day business duties. Whether you were injured at work; a place where you used to be employed or something unexpected happened whilst you were out and about, you never expect for something like this to happen to you. The most important thing to do is to allow your body and mind to heal before you get back to work. It will be very hard to take time out, but you will be able to get back to work when you feel up to it. A slump in sales can happen for a number of many reasons, but sometimes it means you need to press the pause button for a while. You might not be making enough money to stay up and running or you may not even be able to pay your employees. Instead of going into panic mode, you need to come up with a workable strategy that gets you out of the dark and into the clear. Whether you dip into your savings or cut back on other costs, you will be able to find a way to get your business back on its feet in no time. When one of your employees betrays you it can really make your business suffer in a whole host of ways. Perhaps they leave your company and go to a competitor or they even branch out and start setting up their own business, which will eventually go head to head against yours. You can’t dwell on these things if they do happen to you, simply get back on your feet, look out for warning signs in the future and move on. 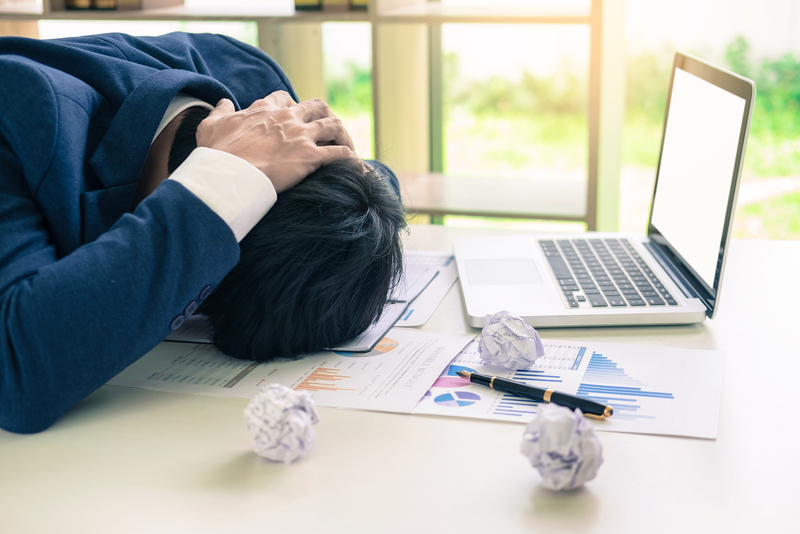 When you land in hot water due to a controversial marketing campaign or an accidental blunder, it can be embarrassing and hard to pick yourself back up. Address the situation head on and make sure you acknowledge your errors. Everything will soon blow over and you will be able to get back on track before you know it. Nobody ever wants to see their business suffering, but sometimes these unfortunate events cannot be helped. As long as you know how to deal with any situation with a calm and cool head you will always come out on top.